My grandsons Carson, Quinn and Easton love 3-D shoots (son Jared records the action). It's natural for me to pass archery on to them, but we must also take time to help kids who wouldn't otherwise get this opportunity. Become active in your state bowhunting organization. Only a tiny percentage of the bowhunters in a given state are members of their state organization. That is embarrassing. Had I not joined the ND Bowhunter's Association 36 years ago (I'm a Life Member), I would not have become as serious a bowhunter as I am, and may not be in this position. These groups, populated with like-minded bowhunters, work hard to monitor state game laws that affect your bowhunting privileges, and to promote bowhunting by introducing kids and adults to the pursuit of game with a bow and arrow. Every state organization desperately needs active members like you. Mentor a youngster, whether it's a relative, neighbor kid, or the son or daughter of a friend. Help them get into archery first. I raised two sons and a grandson into bowhunting, and two more grandsons are coming up. That's a natural, expected progression, which you may have completed as well, so now try to focus on kids who won't otherwise get the opportunity to be introduced into archery. Kids from single-parent families are great candidates. One of my neighbor kids showed an interest in archery, so I fixed him up with a bow and arrows I still had hanging in my shop. Now he's hooked and wants to start bowhunting. His younger brother is now shooting arrows, and their father recently asked me about getting a bow because he wants to take his boys bowhunting. That's three new bowhunters created just from the gift of one old bow. Passing it on works. The progression of my grandson, Carson, began as a youngster with a participation medal at a 3-D shoot, to a young man with his 2016 buck. Consider getting involved in S3DA Archery. This fine organization promotes both indoor and outdoor archery, as well as ethical bowhunting in afterschool programs. You can become a certified instructor, or help start an S3DA club. Kids are mesmerized by the flight of the arrow, and helping them experience it is a blast. For more information, go to s3da.org. Become active in the Pope and Young Club. More than a record-keeping organization, The P&Y Club maintains countless projects to promote and preserve bowhunting in North America. There is always something a committed volunteer member can do to help work toward that over-reaching goal. Visit pope-young.org for more information. If you own or have access to some good hunting property, consider inviting young bowhunters to hunt. Even if you restrict them to antlerless deer, it still gives them the opportunity to experience the heart-pounding excitement of having wild deer at close range. I guarantee you will experience a heart-pounding sense of gratification when you see the smile on the face of a successful young bowhunter. You can become a Bowhunter Education instructor and work to maintain a high ethical standard for all new bowhunters. Check out the National Bowhunter Education Foundation's site to see how you can help (nbef.org). Of course, there are many other ways you can help, depending on your level of commitment to giving back to archery and bowhunting. 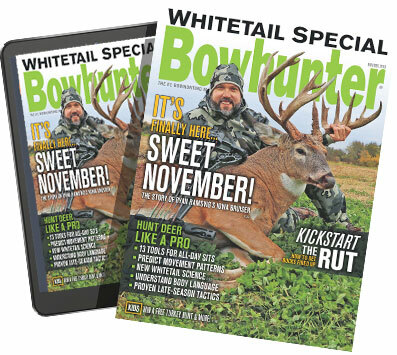 Here at Bowhunter, we appreciate your willingness to work toward the future of bowhunting. Good luck!